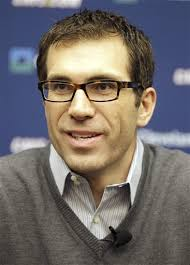 Speak to anybody who follows the NBA about Cavaliers general manager Chris Grant and odds are that they will mention his poor track record drafting. While I do not agree that Tristan Thompson and Dion Waiters add to his history of poor draft choices, the clock is ticking on Anthony Bennett to prove that he belongs in the NBA. He does not have to justify his top overall selection at this point. He simply must demonstrate that he deserves one out of 450 roster spots available in the league. You'd be hard-pressed to find one person that approves of Bennett's rookie season thus far. Having said that, most draft experts and armchair GMs had the Cavs selecting either Otto Porter, Ben McLemore or Alex Len with the top pick. Of those three, the only player who is clearly performing better than Bennett is McLemore who is averaging a pedestrian 8 PPG on 36% shooting. Porter has notched 2.1 PPG on 33.3% and Len has 1.8 PPG on 40%. The only player who was in the discussion with the top selection who is proving to be a significantly better player than Bennett is Victor Oladipo. The ironic thing about that is that Oladipo is widely considered much better than any young player on the Cavs roster by many people. If you listen to scribes like Bill Simmons talk about Oladipo, you would think that the Cavs passed up Tony Allen with a handle and a jump shot. A better comparison for Oladipo is actually Cleveland's Dion Waiters. Nobody likes to talk about that, though because it is easier to push a lazy narrative than to actually spend 2 minutes hopping onto www.basketballreference.com and doing the most simple of research. 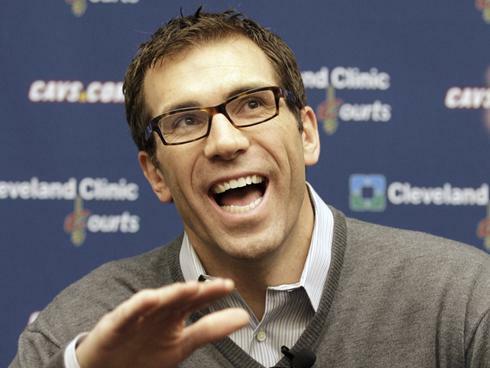 Maybe Cavs GM Chris Grant really is lousy at drafting. Maybe Tuesday’s trade that brought Luol Deng to Cleveland is Grant’s acknowledgement that his drafts have been lacking. Or maybe it’s an acknowledgement that the system is flawed, and no team lives on drafting alone. In fact, if you want a championship parade, history says you do what Grant just did and peddle future assets for established talent. In the wee hours of Tuesday morning, as Cleveland shivered in the clutches of the coldest night in two decades, Grant shipped Andrew Bynum – or more accurately, Bynum’s non-guaranteed contract -- and three draft picks of lesser importance to Chicago for Deng. Chicago made the deal for future flexibility, as they prepare to retool their team around the currently-injured Derrick Rose. The Cavs made the deal because they simply need more talent. So why Deng? He’ll be 29 in April. He’s a high-mileage player who led the Bulls in minutes per game each of the past two seasons, and led the entire league in minutes played two seasons ago. There is definitely a place in the league for players like Deng, but nobody is going to confuse him with a franchise-caliber talent. Contrast that with the 2014 draft, which is supposedly to be loaded with franchise talent and difference-makers. Thanks to Deng, the Cavs will be too good to garner a high lottery pick. 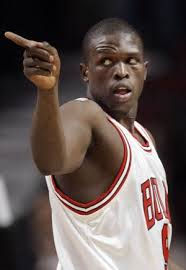 Grant punted away a shot at a stud prospect like Andrew Wiggins, Jabari Parker or Marcus Smart for four guaranteed months of Luol Deng. How insane and/or stupid can an NBA GM be? Or maybe Grant is out-foxing the fox. History says that the draft can do a lot for you, but it’s probably not going to win you championships if that’s your primary means of laying a foundation. Veteran teams win championships, not young teams. And thanks to the restrictions of the salary cap, young teams don’t stay intact long enough to mature into veteran teams. No team has done a better job of building through the draft than the Oklahoma City Thunder. At the start of last season, finances forced their hand into trading James Harden to Houston. Harden quickly became an elite player for the Rockets, and the Thunder felt the sting of his absence when Russell Westbrook went down with an injury right before the playoffs last spring. Instead of getting over the hump, the Thunder were set back a season. The Indiana Pacers have done a great job of building through the draft – all through mid-to-low first-rounders, no less. They still have yet to make the Finals with this group, thanks to the Miami Heat, who were store-bought. It’s a recurring theme over the past decade-plus. The Lakers have won five titles dating to 2000. Kobe Bryant and Derek Fisher were the two key players who arrived in L.A. as rookies. Everyone else arrived via a trade or free agency. The Heat have won three titles with acquired players such as Shaquille O’Neal, LeBron James and Chris Bosh. The Mavs won their 2011 title with home-grown Dirk Nowitzki supported by an army of ringers including Shawn Marion, Jason Kidd and Tyson Chandler. The Celtics drafted Paul Pierce and Rajon Rondo. The other half of their 2008 championship core – Kevin Garnett and Ray Allen -- arrived via trades. In 2004, the Pistons started one of their own draft picks – Tayshaun Prince. Ben Wallace, Rasheed Wallace, Rip Hamilton and Chauncey Billups were all traded for, or signed as free agents. In the wake of all those teams? Teams that tried to scale the draft mountain. In the 21st Century, only the Spurs have won championships with a completely home-grown backbone. And much like the Patriots with Bill Belichick, the Spurs exist in their own mad-scientist laboratory, concocting potions that only they can produce. If you, as a mere mortal, try to replicate their ways and means, it’s a recipe for failure. So, should Chris Grant have waited on the 2014 draft? After three years of tanking? Needing to show the best of his draft picks, Kyrie Irving, some sign that the team is committed to winning? Knowing that Irving is due an extension offer this summer, and if he tables it or turns it down, it will make for a very nervous 2014-15 season? Any more, it’s not about drafting the best players. It’s about acquiring the best players that other teams have drafted – that other teams have done the dirty work of developing into quality veterans. Go for Wiggins and his greenhorn brethren, and you’re stuck waiting for him to develop into a veteran star – if it ever happens. By then, Irving and Tristan Thompson will have been due extensions, Dion Waiters will have been due an extension and you’ll have likely needed to make a call on whether to invest more money and years in Anderson Varejao. You can’t keep the whole house of cards standing that long. Trade for an established veteran like Deng, and while you might have shortened your possible window of contention, at least you’ve started to define the window. Add another quality veteran before the February trade deadline, and – if you re-sign Deng this summer – you can possibly jump right into the May/June basketball conversation next year. 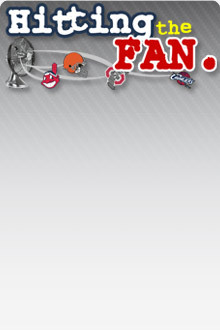 Especially considering the low overall quality of the Eastern Conference. The draft has value, but perhaps not the value we think it does. The current NBA system positions successful-drafting teams as banks to be robbed. If I’m running an NBA team, I’d rather be wearing the mask than guarding the safe. That's the risk sports fans take by going to sleep each night. You never know when you are going to wake up and find that your team made a big trade in the wee hours. That's where Cavs fans find themselves today, as they have woken up to the news that their team has acquired Luol Deng from the Bulls for Andrew Bynum, a first-round pick (a heavily-protected pick acquired in 2011 from Sacramento), two second-round picks, and a limited right to swap first-round picks in 2015. The trade is a complex one; let’s delve into some of the questions you may be asking about it. 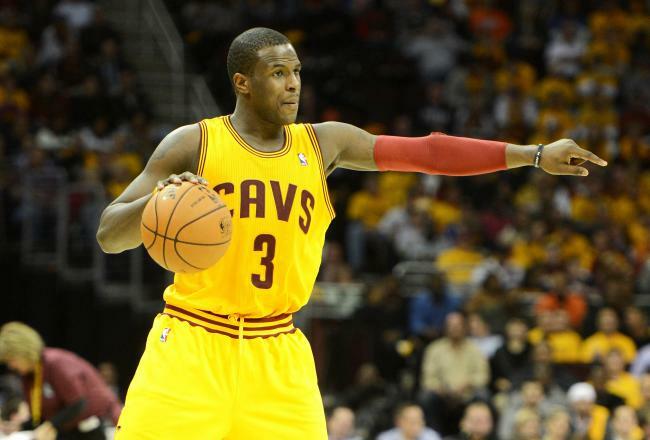 Dion Waiters is the widget of the Cavs roster. If he were a mechanical device, he’d have a lot of lights and buttons that indicate he can do many different things. But he didn’t come with any type of instruction sheet, so you’re left to randomly press buttons, hoping to find the sequence that powers him up. What can he do? Does he fit your needs? If so, where? All legitimate questions that don’t really have any solid answers through the first 80 or so games of Waiters’ professional career. He came off the bench in his two years at Syracuse. The Cavs drafted him fourth overall in 2012 because, despite the fact that he was relegated to a sixth-man role, his scoring talent was apparent. Perhaps envisioning a better version of the Mo Williams and Delonte West backcourt that helped power the Cavs to 66 and 61 win seasons in LeBron’s final two years here, the Cavs wanted to pair Waiters with Kyrie Irving in the starting backcourt. Much like Williams and West, Irving and Waiters were both a tad undersized, but both could create their own shots, and both are adept passers. A backcourt comprised of a pair of point guard/shooting guard hybrids could be very versatile and very dangerous. But there is only one ball. Only one player can create the shot per possession. Kyrie, being the anointed franchise player, would essentially get the right of first refusal, forcing Waiters to play off the ball. The New York Knicks are the perfect antidote for a young team that is in need of a confidence boost. The Cavs came into Tuesday night's game having won 3 of 4 against quality teams. They had a hiccup against the Atlanta Hawks on Friday night where they lost by a final score of 108-89. Things appear to be on the upswing for the team because a loss like that may have caused them to spiral out of control and to lose grip of the season. Instead, they proceeded to have quality wins against the Los Angeles Clippers and New York Knicks. They are now winners of 4 out of 5 and are headed to Orlando to take on the reeling Magic on Friday night. Kyrie Irving had his best game of the season. He had 37 points, 11 assists and only 1 turnover. When Irving plays aggressively, the Cavs should be in position to beat any team on any given night. Granted, they will never be favored against certain teams and will suffer a lot of bad losses during the rest of the season. But the Cavs seem to be turning a corner. It all starts with the play of Irving. It feels like a lifetime ago that he had 0 points on 0-9 shooting against the Hawks. In that game, Dion Waiters scored 30 points on 20 shots. Andrew Bynum had 20 points and 13 rebounds. Tristan Thompson was 1 point away from a double double. None of that mattered because Kyrie Irving played the worst game of his career and they were blown out as a result. Andrew Bynum wasn't much of a factor and that's OK. It feels like a lot of times, the Cavs focus too much on setting up Bynum for shots. The offense stagnates and Kyrie Irving looks like he struggles to score even the most simple of baskets. It is as if they set up Bynum for his shot, hope he scores and wait for him to shoot. Tonight, Bynum only took 6 shots and was not much of a factor outside of his rebounding. The Cavs are a better team when he is playing well, but they need to learn how to play with him. Until that happens, it is best that they do not force the issue and play with a level of comfort that is conducive to winning games. It may not seem like it so far, but the Cavs are showing improvement. They did not win their 8th game until January 4th last year. That victory against the Charlotte Bobcats gave them a record of 8-26.